With some of the Blood Scab Make-Up, a fresh, bloody wound that has scabbed over is only mere moments away! This make-up is the perfect way to apply a dried blood look without having to wait for any fake blood you have to dry up. Instead, just creatively apply a few touches of this make-up and you will have all the dried wounds, sores, and pustules that you will ever need, or even want! 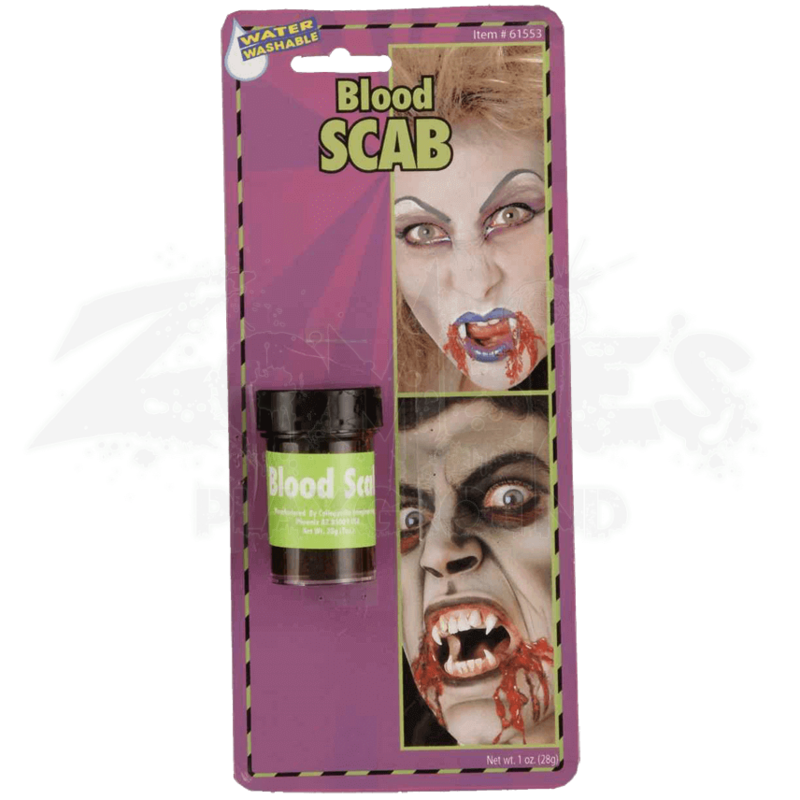 This gory make-up comes in a small container, which has an approximate net weight of 1 ounce. 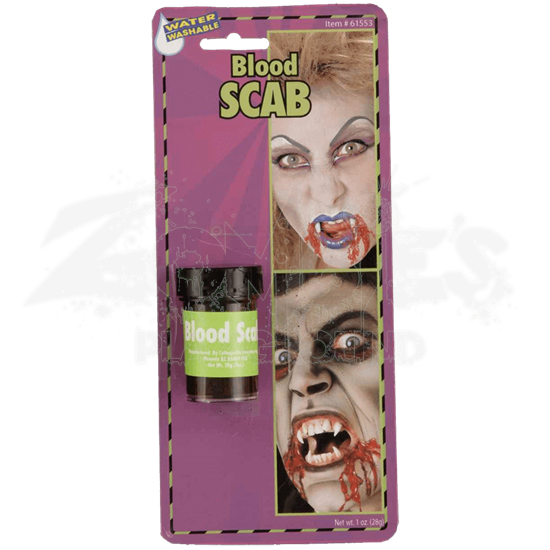 It is washable, which makes it easy to put on and just as easy to wash away, and it is perfectly safe to use and apply onto your skin to create all manner of dried, crusty scabs and bloodstains. Blood will not stay wet and oozing forever, and nothing really beats the look of a dried out wound or stain when it comes to creating a truly horrifying appearance. So turn to the Blood Scab Make-Up to create and shape all the scabrous stains and wounds that will have others flinching away, despite its dried up appearance.